Head of PA soccer federation says he will appeal FIFA’s year-long ban on him for inciting fans against Argentine superstar Lionel Messi. The head of the Palestinian Authority (PA) soccer federation said on Saturday he will appeal FIFA’s year-long ban on him for inciting fans against Argentine superstar Lionel Messi. Speaking to The Associated Press, Rajoub said he was consulting with his lawyers and will “use every possible opportunity” to fight the decision. He spoke by phone from China and said he was planning a press conference upon his return to Ramallah later this week. FIFA announced the suspension on Friday, saying Rajoub “incited hatred and violence” by calling on soccer fans to target the Argentinian Soccer Association and burn jerseys and pictures of Lionel Messi when he was scheduled to play a friendly game in Israel. The match was eventually cancelled, with the Argentinian team citing threats against Messi as the reason. "The Disciplinary Committee held that Mr. Rajoub’s statements incited hatred and violence, and consequently imposed the above-mentioned sanctions," the federation added. 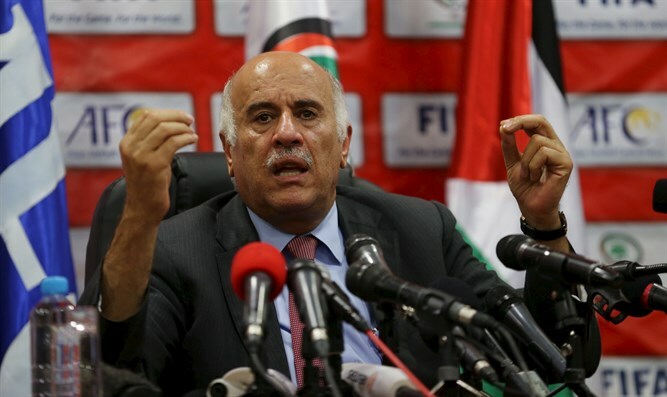 Rajoub, along with several anti-Israel organizations, has in the past attempted to force FIFA to ban six Israeli teams based in Judea and Samaria. He claims that their presence there is in breach of FIFA statutes, which forbids another member association playing on another territory without permission. Rajoub later accused FIFA of caving to Israeli pressure, saying Infantino “did not deal appropriately” with his complaints against Israel. Earlier this year, Rajoub was filmed as he verbally confronted Border Police officers at the Cave of the Patriarchs in Hevron, telling one of them to "shut up, go to hell."